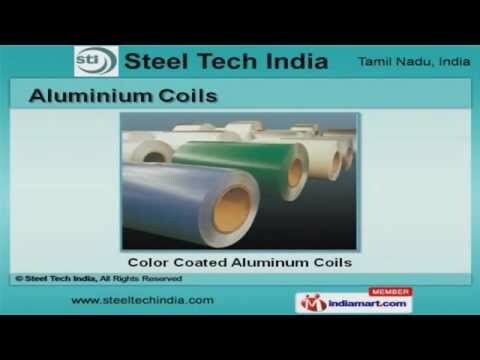 Welcome to Steel Tech India Distributor & Supplier of Steel Coils, Sheets, Roofing Sheets & Its AccessoriesThe company was established in the year 2011, at Chennai. Our Authentic vendor base& Developed warehouse help us to cater Indian Subcontinent. 100% client satisfaction, Transparent & ethical business practices are the factors thathelp us to stay ahead of our competitors. We offer a wide assortment of Aluminium Coils, Self Drilling Screws & Roofing Sheets. Our Steel Coils & Sheets are well known for their durability. Aluminium Coils offered by us are widely acclaimed in the market. Our Industrial Steel & Roofing Sheets are well known for their outstanding performance. We also provide Roofing Services & Roof Turbo Ventilators that are a class apart. Along with that we offer Self Drilling Screws that are available at industry leading prices.